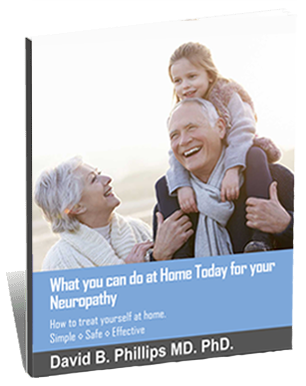 Neuropathic foot problems, such as ulcerations, infections, and gangrene, are the most common cause of hospitalization among neuropathy patients. Routine ulcer care, treatment of infections, amputations, and hospitalizations cost billions of dollars every year and place a tremendous burden on the health care system. The average cost of healing a single ulcer is $8,000, that of an infected ulcer is $17,000, and that of a major amputation is $45,000. More than 80,000 amputations are performed each year on Neuropathic patients in the United States, and ∼ 50% of the people with amputations will develop ulcerations and infections in the contralateral limb within 18 months. An alarming 58% will have a contralateral amputation 3-5 years after the first amputation. In addition, the 3-year mortality after a first amputation has been estimated as high as 20-50%, and these numbers have not changed much in the past 30 years, despite huge advances in the medical and surgical treatment of patients with neuropathy. Right now the skin of your feet could be crawling with millions of tiny flesh eating bacteria that you are unaware of...until it's too late. To receive your immediate download of the ebook, please provide your email address below. ( You will be forwarded to a page where the PDF download of the book will be available.